Kills weeds not lawns! 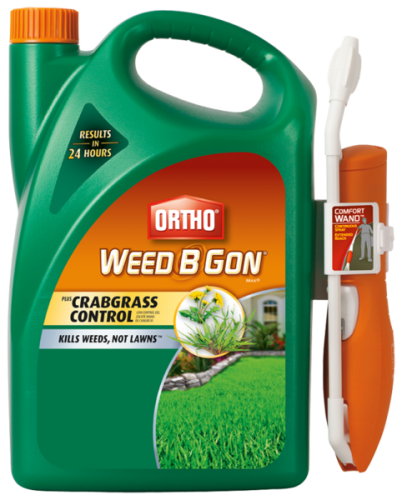 Kills Crabgrass, Dandelions and other comon lawn weeds to their roots! Starts working immediately and is rain-proof in as little as 1 hour. Kills Crabgrass, Dandelions, and other common lawn weeds to their roots! 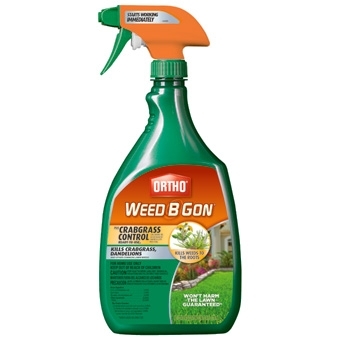 Kills 200+ Listed Weeds and is guaranteed to be safe for your lawn! Goes to work immediately! Also available in a 1 Gallon Ready-to-Spray Jug. Scotts Turf Builder with HALTS Crabgrass Preventer STOPS Crabgrass! 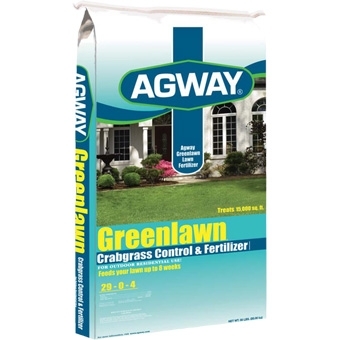 Delivers both a pre and early post-emergent crabgrass control. When applied in early spring before crabgrass begins to grow, while also feeding your lawn for a fast green-up after winter. Prevents crabgrass all season. It is also effective against crabgrass, foxtail, and oxalis. (30-0-4) This bag covers 15,000 Square Feet. 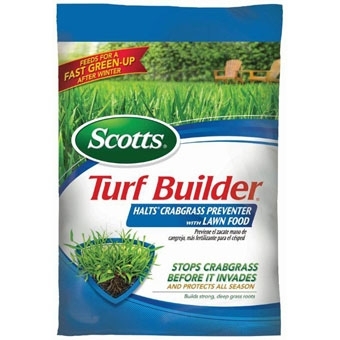 Scotts Turf Builder with HALTS Crabgrass Preventer STOPS Crabgrass! Delivers both a pre and early post-emergent crabgrass control. When applied in early spring before crabgrass begins to grow, while also feeding your lawn for a fast green-up after winter. Prevents crabgrass all season. It is also effective against crabgrass, foxtail, and oxalis. (30-0-4) This bag covers 5,000 Square Feet. 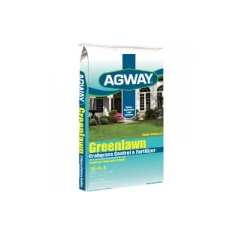 Contains a pre-emergent weed killer to control Crabgrass, Foxtail, Goose Grass, and other annual weed grasses while also feeding your lawn for 8 weeks! This specific bag covers 5,000 Square Feet.